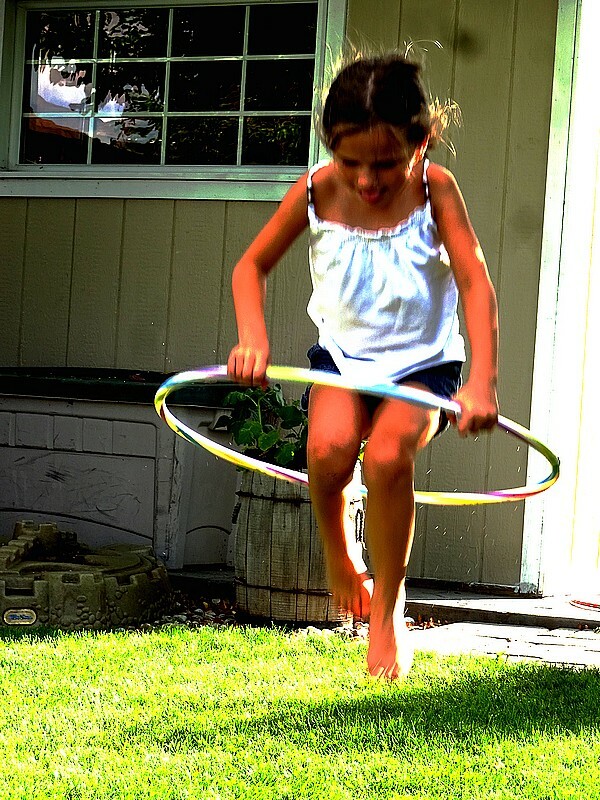 Hoola Hoops are so much glitzier these days … but look to be just as much (summertime) fun! Great wordless story here, Carin. How many loops through the hoop did she leap? that’s beautiful, Carin. Could I use it as a subject for a painting? It won’t be detailed, so the child’s face won’t be recognizable. Let me know ;-) Cheers! What an absolutely delightful photograph Carin. It brings a smile to my face and I can see the concentration and joy in the girl’s face. Oh gosh, there’s so much to go on about – the way the light is hitting the strands of hair, the garlands of colour in the hula hoop, the concentrated energy and more. Marvellous! Fabulous pop picture I particularly like the tongue of concentration.